Serve warm of cold. Or with ice cream. 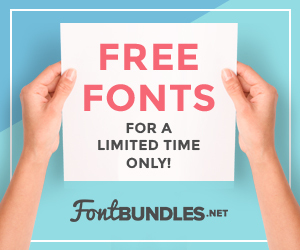 I received product from GeeFree, but all opinions are my own. 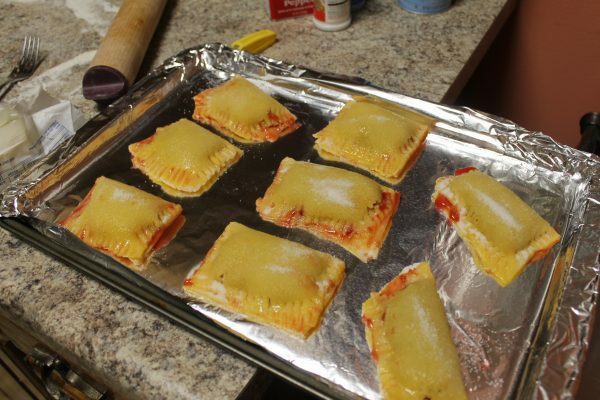 I have never worked with any puff pastry before, so I was a little bit worried about these turnovers coming out right. 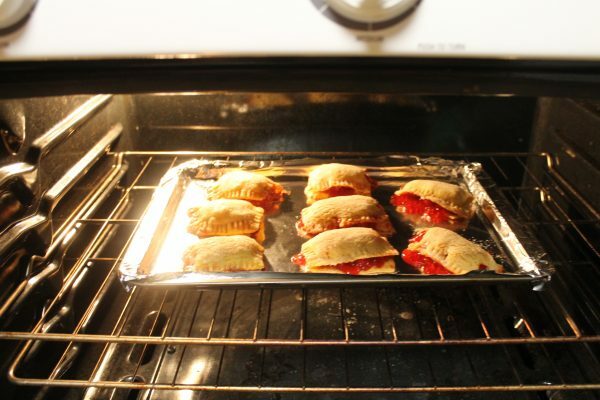 But let me tell you that using GeeFree Puff Pastry is so easy. Just take it out of the freezer and let it thaw out for about thirty minutes. Then, use your favorite gluten free flour to prepare the surface, roll out the pastry, then cut it into whatever shape you want to use. 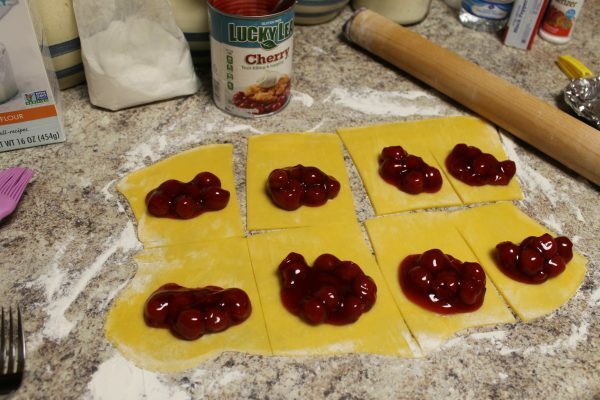 For my Gluten Free Cherry Turnovers Recipe, I used Glutino All Purpose Flour to sprinkle on my counter top. Then I got busy. 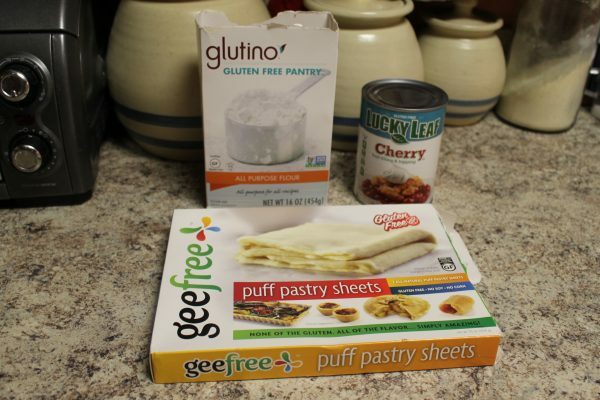 GeeFree Gluten Free Puff Pastry is easy to use. 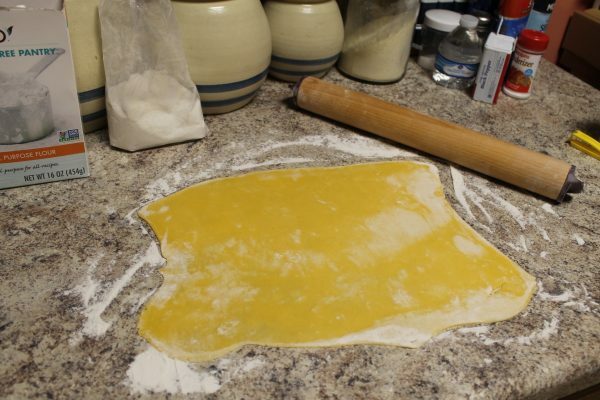 Roll out the puff pastry to desired thickness. Cut puff pastry into 8 pieces, each in a rectangle shape. Brush each piece with melted butter. Spoon a heaping tablespoon of pie filling on each piece of puff pastry. Fold the puff pastry over the pie filling, and seal with a fork. Brush tops of the turnovers with melted butter. Place on baking sheet lined with aluminum foil. Bake for 15 minutes at 365 degrees. Comstock pie fillings are gluten free, but be sure to read labels. They could change their recipe at any time. 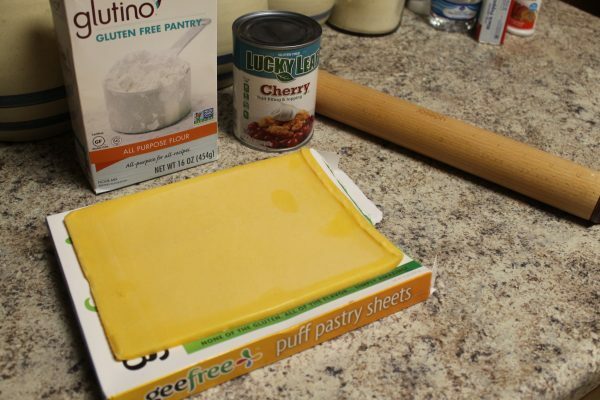 Roll GeeFree Gluten Free Puff Pastry out to desired thickness. Spoon on a generous tablespoon of cherry pie filling. Fold puff pastry over the pie filling, and mash the edges together with a fork. What would you make first with gluten free puff pastry? I absolutely love cherries. These look so good. 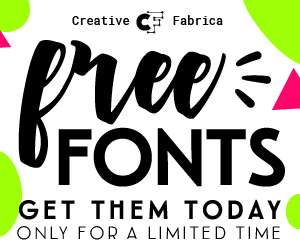 I’ll try these! Wow, these look so amazing and would be perfect for an after school treat. It will be fun trying other fruits too. This is exactly what I wanted to make with these puff pastry sheets. Thanks for the recipe help! They ARE really yummy! 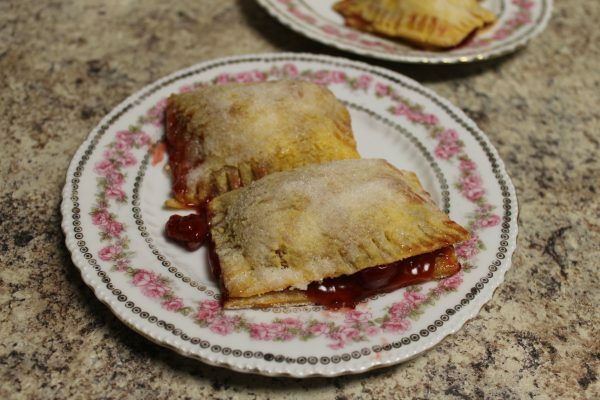 I haven’t had a cherry turnover in years, and these hit the spot. I also made some icing to drizzle on top with powdered sugar and a little water.